Of all of the early explorers to Oklahoma, Coronado was perhaps the most well known. Arriving in 1541, the famed explorer and his men helped map out a good portion of the Oklahoma panhandle. Of course, that wasn't their main intention. 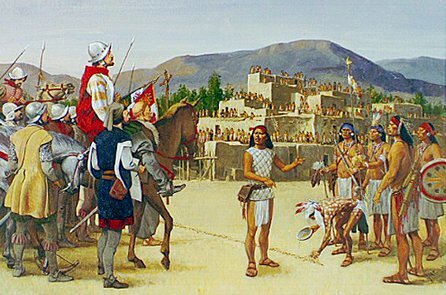 Their goal was to find the legendary city of Cibola, also known as one of the seven cities of gold. The legend say that these were cities made entirely of gold, where even streams of gold could be found flowing throughout the towns. 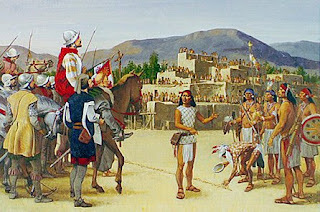 This article recounts the voyage of Coronado and his men during their quest, and tells of their time spent in Oklahoma.